OPPRO OnePlus 6T Case GripLine Black is a TPU case that protects and gives maximum grip to your OnePlus 6T. Because of the lines that run over the case you have a certain feeling in your hand with your OnePlus 6T! The OPPRO OnePlus 6T Case GripLine is made of TPU. TPU has the property that it is flexible but still very strong. For example, the GripLine will protect well against bumps and falls, but the case itself will also be very durable. The color will not fade because the pigment is through and through. In terms of protection, the OPPRO GripLine is not too short. The case is strong and durable and will protect against bumps, scratches and falls. In addition, the case is not thick and neither is it a heavyweight. Your OnePlus 6T will not be much thicker with this case! Of course there are also. So you can easily go anywhere and you do not have to take the case off every time. The buttons themselves except the alert slider are protected by the case and where the port for the USB type C connection is located, a recess has been made. The speakers are free to lose nothing on sound quality when using the OPPRO GripLine! 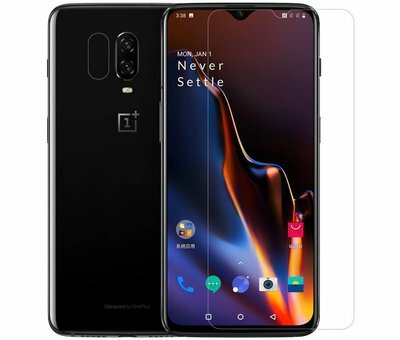 If you want to immediately choose the best protection then below for a bundle with a OnePlus 6T screen protector. Then you save directly on your purchase price and your OnePlus 6T is immediately fully protected! Pasvorm is prima om de telefoon. Het hoesje beschermt goed door het opstaande randje aan de voorkant. Vind het hoesje wel iets aan de dikke kant. Maar hierdoor is de bescherming uitstekend.